Random House Audio Publishing Group, 9780739383582, 6pp. "The Accidental Billionaires" is a compulsively readable story of innocence lost-and of the unusual creation of a company that has revolutionized the way hundreds of millions of people relate to one another. Ben Mezrich, a Harvard graduate, has published ten books, including the "New York Times "bestseller "Bringing Down the House." He is a columnist for "Boston Common" and a contributor for "Flush" magazine. Ben lives in Boston with his wife, Tonya. 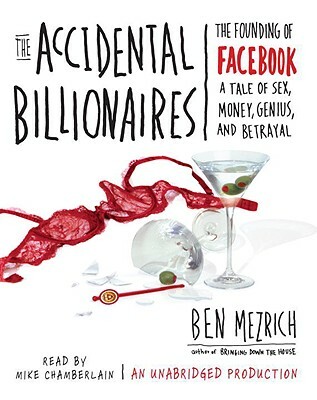 Ben Mezrich, a Harvard graduate, has published ten books, including the "New York Times" bestseller "Bringing Down the House." He is a columnist for "Boston Common" and a contributor to "Flush" magazine. Ben lives in Boston with his wife, Tonya.